6 KM South from East - West Mahendra Highway. Resort running on very good profit is on sale. It is 100% secure invest with very good profit. Location of the resort is best one in Bardia national park.Business is very good with very good reputation. So it is golden chance for buyer. Owner is going to shift so like to sale.It is next to the park. It is just 7 minute walking from Park head quarter and on the way to Hattisar. 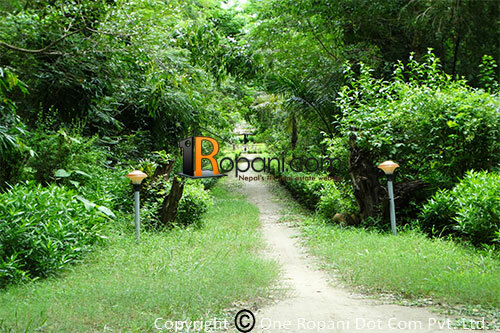 There is no any residence area near the resort and very peaceful place. There are just next Tributaries of Karnali rive. Resort is just renovated and no need any more invest. Foreigner are also allowed to invest for resort in Nepal. It is running for many years on very good profit.Details of the properties:-Land: 1 bigaha and 10 dhur (about 6950 sq miter) Rooms:14 Toilet: 14 Dining: 1 (23x37 sq feet) Kitchen:1 Store:1 Staff house:1 Jeep: 1 Motorcycle: 1 Rest: all the necessaries things to run resort are in the resort.There are no any thing need to invest. Buyer can contact me on what's App.+9779851120796.